Who needs the wasted calories and fat in a classic Shamrock Milkshake? 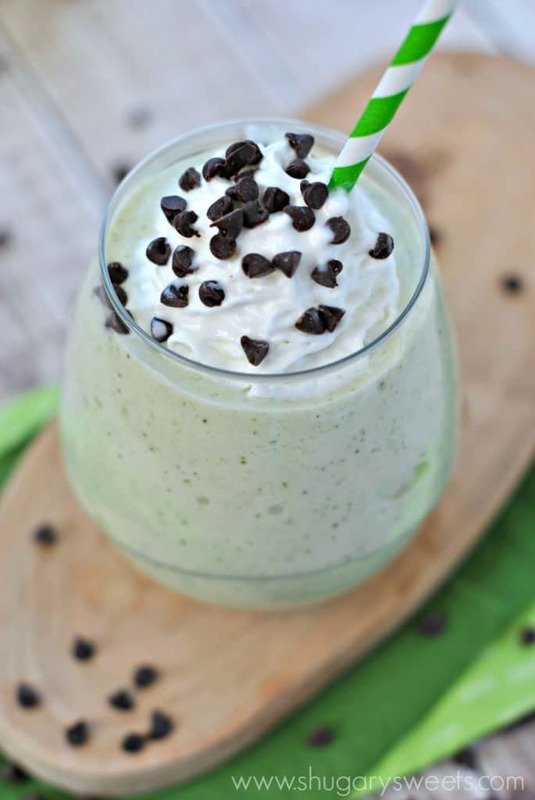 Try making this easy, creamy, delicious SKINNY Shamrock Shake instead! So I’m going to confess that once upon a time I used to be addicted to McDonald’s milkshakes. Particularly the Shamrock Shakes. I would get so excited this time of year and I would seriously drop my son off at afternoon kindergarten, then take my daughter for a car ride knowing that she would fall asleep and I could enjoy a creamy milkshake in peace and quiet. Don’t judge. I never claimed to be the perfect parent. Through the years though, those McD’s shakes gave me stomach aches. So I’ve made them at home using thick, creamy ice cream. This week I had one of those AHA moments. I’ve seen people take frozen bananas and whip them in the blender until it becomes creamy like ice cream. Why not try it with the Shamrock Shake? It worked perfectly. I put my frozen bananas in the blender with the milk and peppermint extract. I let it blend for about 5 minutes, scraping down the sides several times. 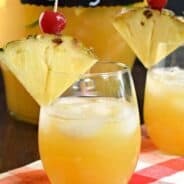 Instead of adding in green food coloring, I wanted to keep this recipe wholesome. I added in spinach leaves. WAIT.. WAIT.. Don’t go. I only added in about 4 leaves to achieve the light green color. You can add more if you want. You could also add green food coloring. But I promise, 4 spinach leaves did NOT alter the taste at all!! The mint outshined everything! I topped my Skinny Shamrock Shake with some fat free whipped cream. Okay, forget wholesome. It was out of a can, hehe! But c’mon, it’s not as bad as green food coloring right? I also added a small sprinkle of mini chocolate chips. Don’t you DARE try to argue me out of that decision!! So, to recap. 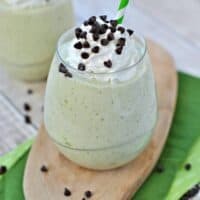 I made a creamy, almost wholesome, completely SKINNY Shamrock Shake. I think you need this in your life. I enjoyed this after my workout. PS. The taste is a little different than a McD’s shake, but knowing how low in fat this shake is, makes it worth every sip! PSS. It’s also good with a scoop of vanilla protein powder. Boom. Love SHAKES? I’ve got ya covered! 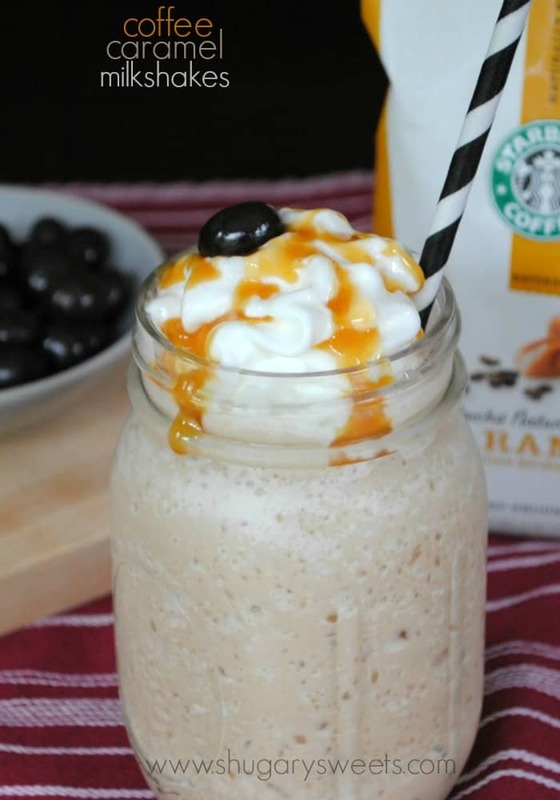 Caramel Coffee Milkshakes: the perfect afternoon pick me up! 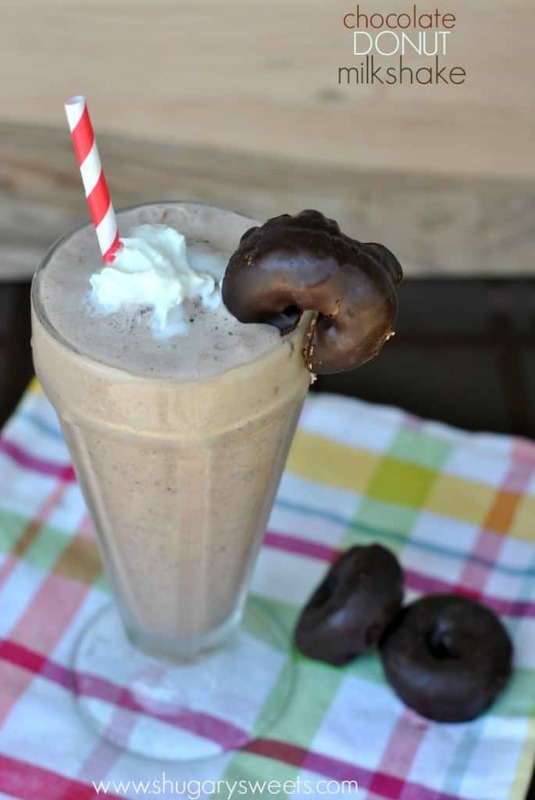 Chocolate Donut Milkshake: I’ve just made milkshakes acceptable for breakfast! Banana Split Smoothie: another classic dessert in a healthy smoothie treat! In a large blender, combine frozen bananas with milk and extract. Blend for about 5 minutes, scraping down the sides, until smooth. Add in spinach leaves and blend until desired color. Pour into two glasses and top with whipped cream and chocolate chips. You can also use a food processor to blend the bananas too! Substitute fresh mint leaves for the spinach for an even mintier treat! 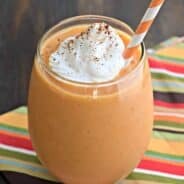 I have tried over and over the frozen bananas blended and try to eat it plan. Let’s just say it did work out between us. BUT you added milk and vanilla and some other goodies, so I think I will give it another go and see how it turns out! It is very very thick for sure. I don’t think alone it tastes anything like ice cream (you can’t fool me), but with the milk and the mint it really is tasty! Maybe more like a smoothie? Oh, well in that case! Bring it on!! Oh my gosh!!! You are so sneaky with you banana and spinach! 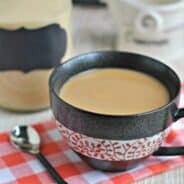 I think the ladies in my weight watcher group might freak out about this recipe! I haven’t had a McDonalds shake is SO long, and when I busted my front tooth I decided to stop and get a soft serve. Now I crave it and I am worried that I won’t be able to hold out. 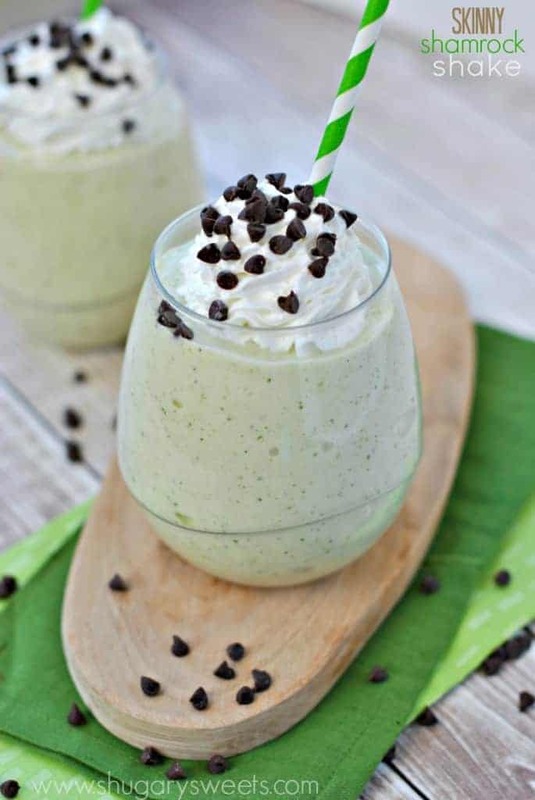 Love this version of the Shamrock Shake! I love the sound of this skinny shamrock shake! I can’t wait to try making this – way to go with the spinach leaves – such a sneaky and healthy addition in here 🙂 Pinning! I would never guess that it’s spinach that gave you the green color! And I love that banana ice cream trick – so tasty! I definitely want to make this. Great idea Aimee! I am loving the sneaky addition of spinach to give it that minty green look! And of course the chocolate chips are never optional…never!!!! Awesome adjustments to make a healthier version. I love it! And I won’t argue one bit on the chocolate chips! Well you are clever girl. turning the shamrock shakes into something skinny! Now I can drink several right? I was saaaaying…after she tastes and falls in love. THEN I’ll tell her it’s healthy. hoooray! Crazy – I just made this yesterday! And I didn’t know you had this live – I’m going to try the mint and chocolate chip addition today. It sounds incredible! This sounds insanely good! And perfect for right now that we’re trying to stick to a diet. I wouldn’t feel guilty with this at all unlike a McD’s shake. Great idea with the frozen bananas and the spinach for color. I’ve never had a shamrock shake so I wouldn’t know what I’ll be missing. Also, I don’t judge you at all for planning that peace and quiet. Honestly, I freaking bow to you! Breaking your peace time down to almost a science. I’m jelly. 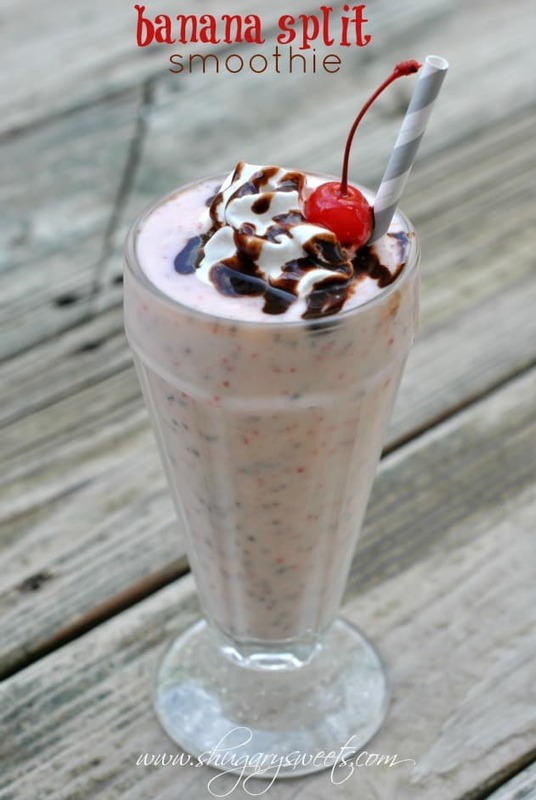 Ok so I never liked them but my mom freaking loves those shakes, and I’m going to have to show her this recipe when I visit next week for sure! 😀 Thanks Aimee! I made this today and I felt it was way too much peppermint. The consistency was great. Next time I will add less peppermint and see how thst works out. I may have to give this a try… I used to love McD’s Shamrock Shakes too…now they taste way too chemical-minty. Blehyeuch. I wonder what would happen if you used fresh mint leaves instead of spinach leaves? I think it would work great!! I’m in love. . .with this shake. I love that you can take frozen bananas and transform them into an ice cream-like treat. I cannot wait to try and fool my family with this trick. Brilliant! this has great texture, but I would recommend less peppermint extract. It tastes kind of like toothpaste but would be really good with about 1/4 of the peppermint. Where is the sugar content? I am with WW and it calculates sugar also. Thanks! A skinny shamrock shake sounds incredible but I won’t use peppermint extract, I’ll use spearmint. I haven’t had a shamrock shake that tasted like a candy cane yet. 😉 They’ve all had a mint ice cream flavour, which is spearmint.